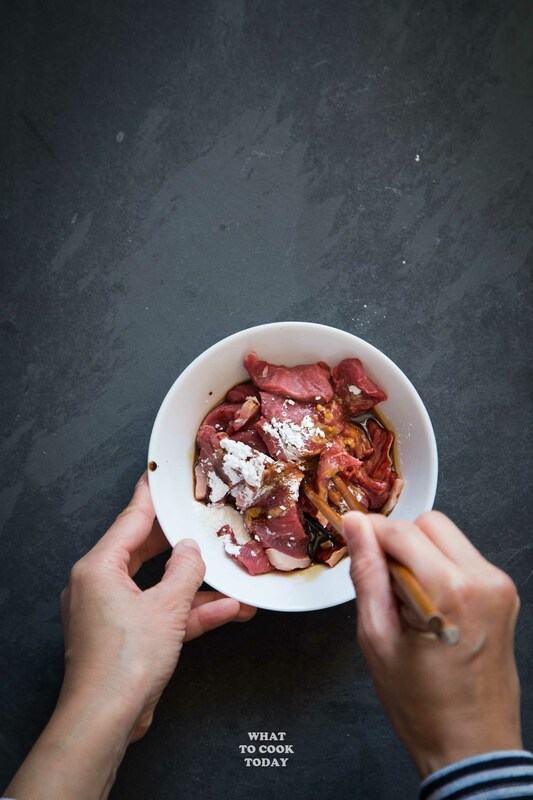 Learn how to make restaurant-style beef chow fun / hor fun in your very own kitchen. It’s seriously easy and no fuss recipe. All the tips you need to know to recreate this. I got hooked on beef chow fun the first time hubby ordered beef chow fun at this Chinese restaurant we still frequent to this date. 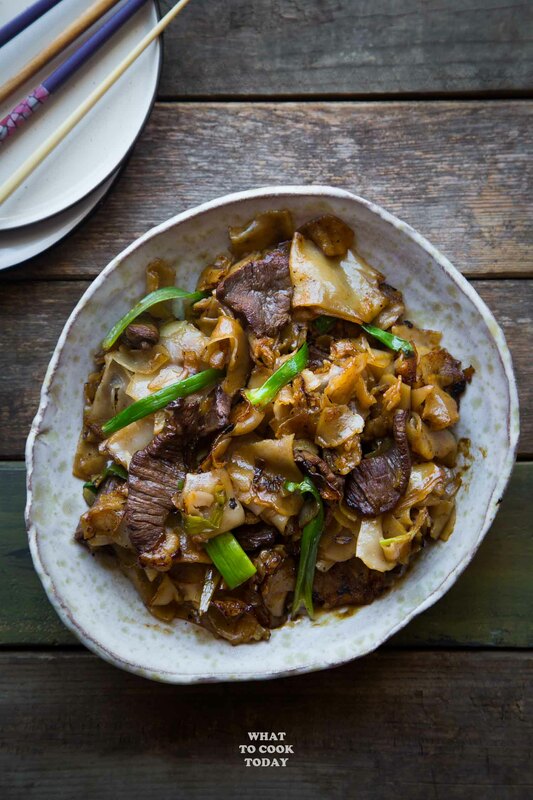 The first bite into beef chow fun was simply unforgettable. I had been wanting to recreate it at home for so long and finally I did. 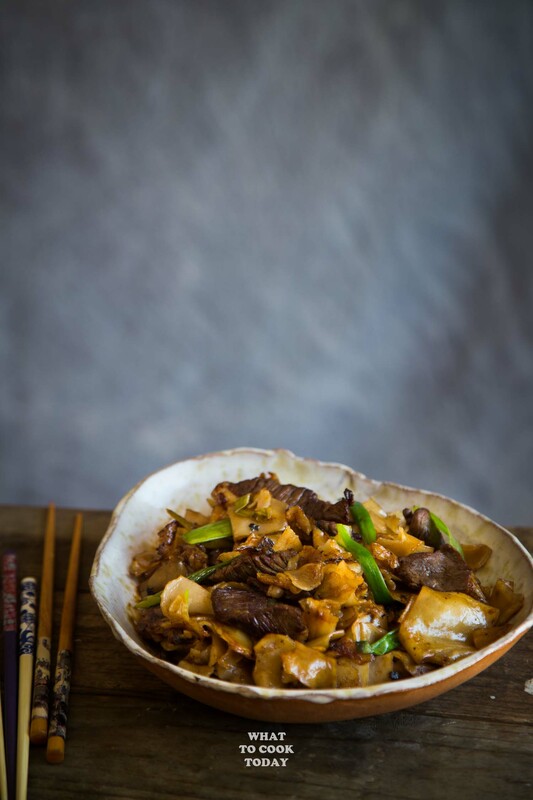 Beef chow fun is a popular Cantonese stir-fried rice noodle dish. 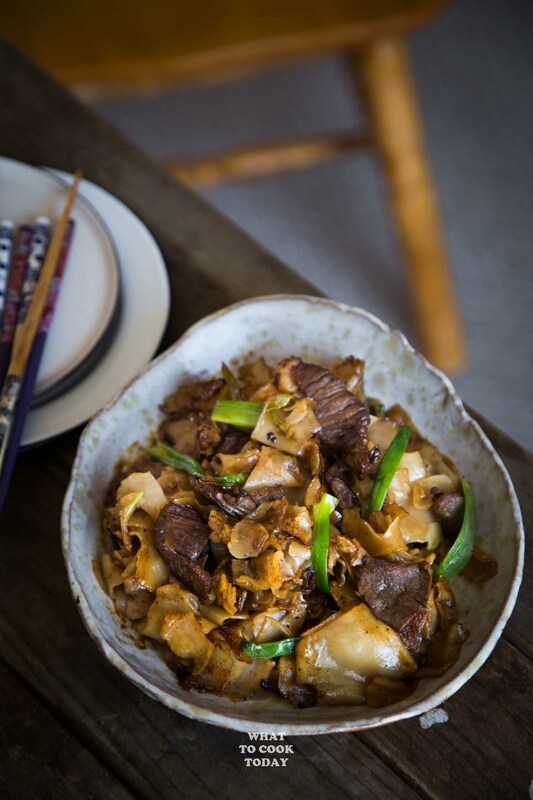 WHAT MAKES A GOOD BEEF CHOW FUN? I’ve heard from a Chinese chef that one of the skills that the Chinese chefs are tested on is to make chow fun. Their ability to impart that “wok hei” to the finished dish tells a lot about their skills. The fire usually “lick” the food to give that “smoky” flavor (wok hei). Chefs spent years perfecting their wok hei skills. It’s not easy to create wok hei at home. Not with our ordinary stove. It needs high heat and flame, somewhere around 1000-1200 Fahrenheit! No joke! The cut of the beef is important but knowing how to cut the beef is also important. The beef is usually thinly sliced across the grain. The beef slices are usually marinated in seasonings and cornstarch. Mom said corn starch help to tenderize the meat. 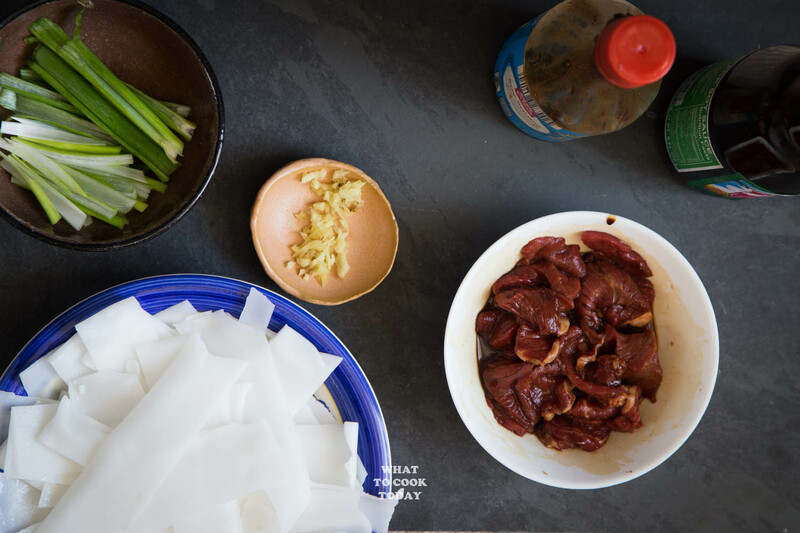 It’s common practice in Asia to marinate meat with cornstarch actually. While we might not be able to achieve wok hei at home, you can still make a really good restaurant-style beef chow fun. I seriously can’t stress enough the importance of trying not to cook like 2 lbs of rice noodles all in one go. This will lower the overall temperature. The chef at the restaurant is able to create good wok hei because they usually cook 1 to 2 portion at a time. I suggest cooking 2 portion max at one time for best result. You don’t just dump everything in there of course. I like to cook the beef first so it won’t overcook and still tender, followed by aromatics, rice noodles, seasonings and then meat back to the skillet and veggies like bean sprouts the last. I know they aren’t always available and probably difficult for you to find or impossible for you to find especially if you don’t live in Asia. 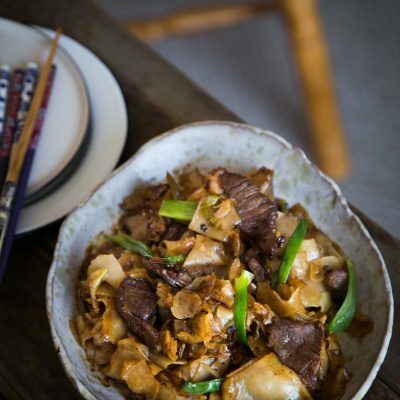 Fresh flat rice noodle is just so good when you make beef chow fun with it. 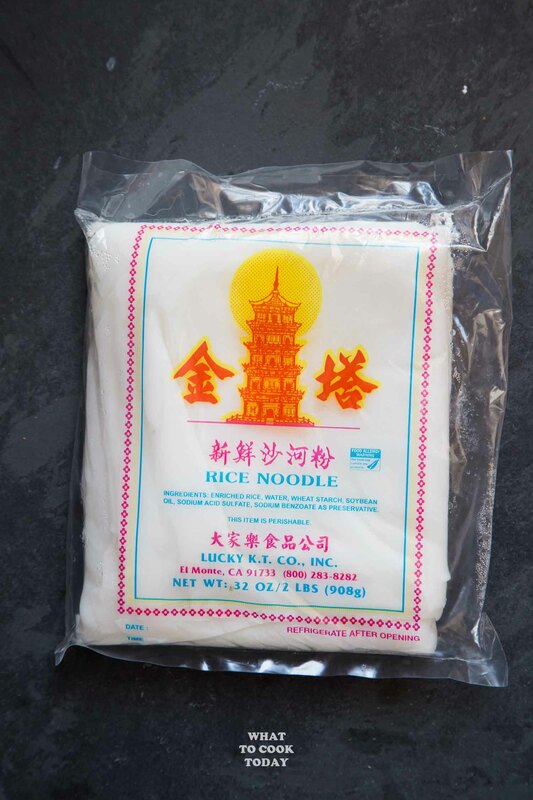 The dried noodles don’t give the same texture, but it’s still acceptable if you are not super picky about it. 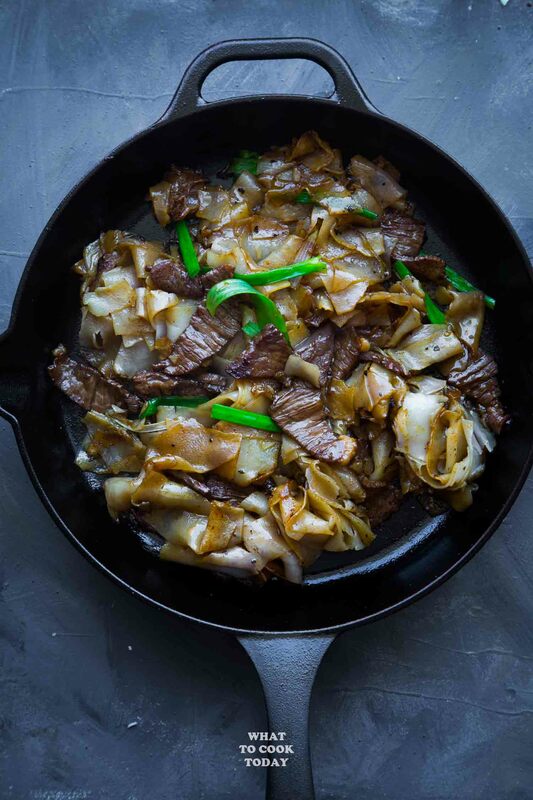 If you look at the ingredient for beef chow fun, they are very simple and don’t require much, yet they are highly delicious. 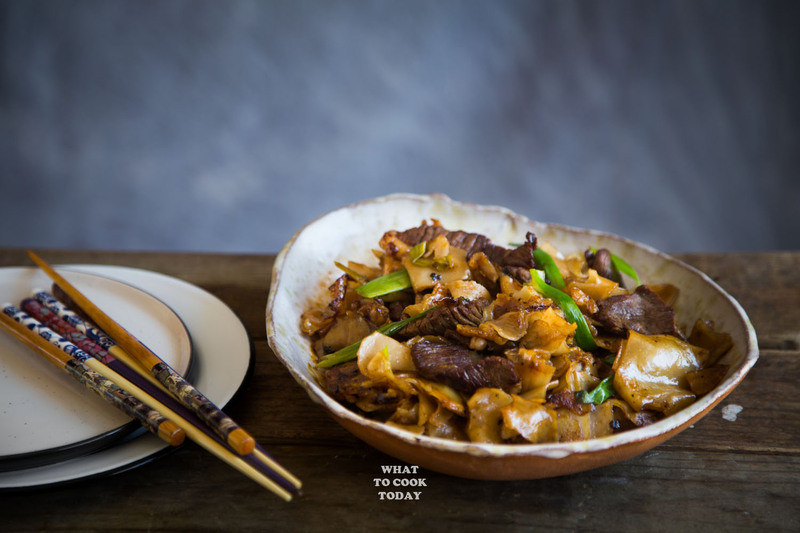 With the step-by-step instructions and few pointers, I hope you will be able to create restaurant-style beef chow fun in your very own kitchen. It’s not as intimidating as you think (minus the wok hei ha..ha..). 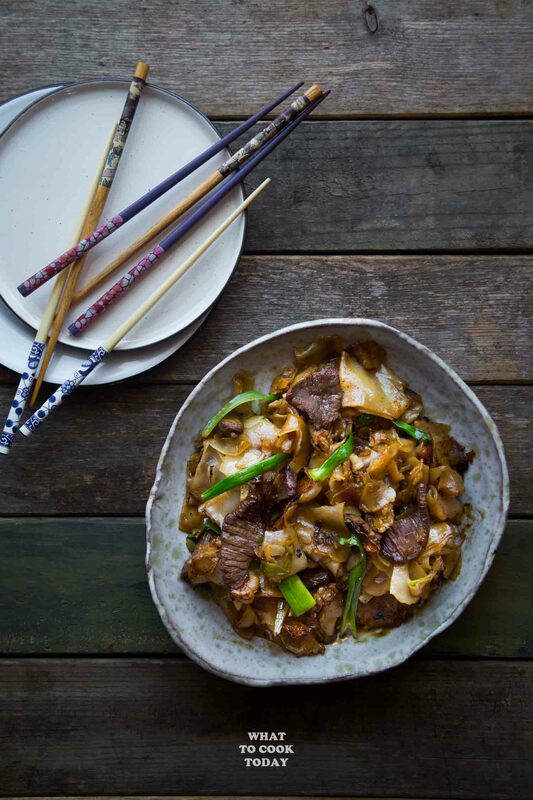 Learn how to make restaurant-style beef chow fun in your very own kitchen. It's seriously easy and no fuss recipe.